Prime Minister Recep Tayyip Erdogan has urged young Turks to ignore calls to mark the first anniversary of Istanbul’s Taksim Square protests. Protests against plans to redevelop Istanbul’s Gezi Park last year turned into mass anti-government rallies after a heavy-handed police crackdown. 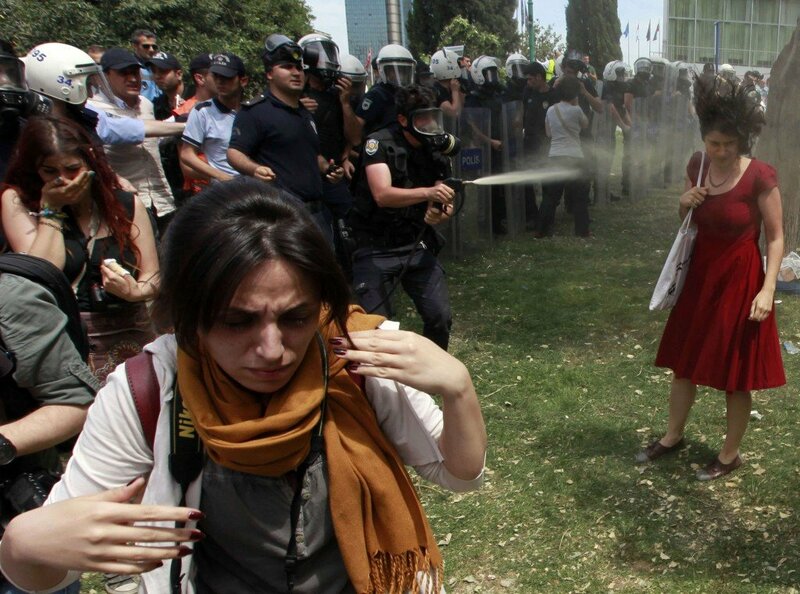 The main organizers behind the Gezi Park protests – Taksim Solidarity – have called for a demonstration on Saturday to mark the one-year anniversary, Hurriyet reports. Addressing a crowd of young people in the capital on Friday, the prime minister described the movement as “terrorist organizations” that “manipulated our morally and financially weak youth to attack our unity and put our economy under threat”. Intensive security measures are expected to be in place around Ankara, with a government ban on gatherings in force in Taksim Square. Riot police evicted them two weeks later using heavy-handed tactics and galvanizing anti-government demonstrators in several other cities. Since then, Recep Tayyip Erdogan has faced accusations of authoritarianism and corruption after a string of scandals. In the first vote since last year’s mass protests, Recep Tayyip Erdogan’s party won local elections in March, which was widely seen as a barometer of his popularity.